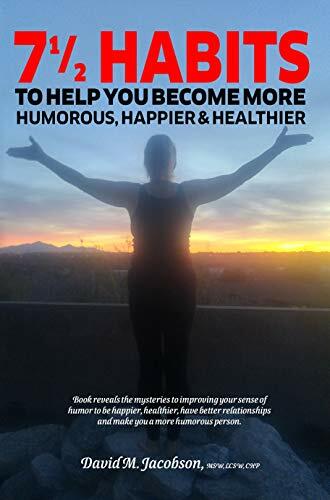 Posted on March 17, 2019, in Interviews and tagged 7 1/2 Habits To Help You Become More Humorous Happier & Healthier, alibris, author, author life, authors, barnes and noble, book, book club, book geek, book lover, bookaholic, bookbaby, bookblogger, bookbub, bookhaul, bookhub, bookish, bookreads, books of instagram, booksbooksbooks, bookshelf, bookstagram, bookstagramer, bookwitty, bookworks, bookworm, chronic pain, david jacobson, ebook, fun, funny, goodreads, happy, health, healthy, humor, illness, ilovebooks, indiebooks, kindle, kobo, literature, nonfiction, nook, novel, personal growth, publishing, read, reader, reading, self help, shelfari, smashwords, spirituality, story, writer, writer community, writing. Bookmark the permalink. Leave a comment.